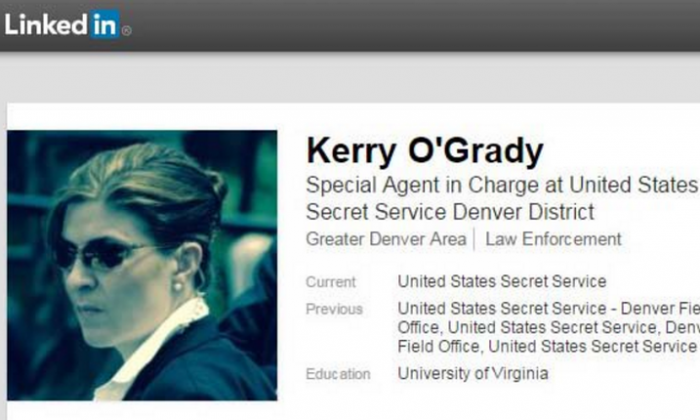 The special agent who was in charge of the U.S. Secret Service’s Denver office was suspended from her job after she made social media comments saying she wouldn’t “take a bullet” for President Donald Trump. In October, Kerry O’Grady made a Facebook post saying publicly that she supports Hillary Clinton and that she struggles “not to violate the Hatch Act,” a federal law that prohibits federal government employees from engaging in certain forms of political activity. CBS affiliate KCNC-TV reported that she was suspended from her job with pay. It’s unclear how long the suspension would last. Last month, the Washington Examiner reported on her comments, which caused strong backlash among social media users and calls for her removal from the secret service.